Aussies in Las Vegas | Why is Vegas so popular with Australian tourists? Why do so many Australians visit Las Vegas? Australians are known for their love of gambling and for having a good time and while we don’t need to get on two flights just to have fun, flying 14 hours to LA and another six to visit Las Vegas is definitely worth it. We name the five top reasons why Aussies are enduring the long flights to visit Vegas. We are kicking things off with the most obvious reason as to why Aussies are heading to the Disneyland for Adults – there is a long strip of casinos and the atmosphere is absolutely electric as you hop along to each one. 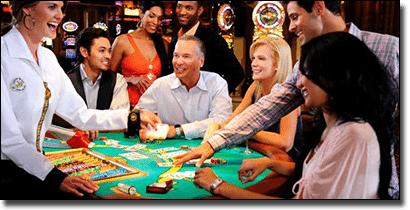 From the Flamingo, to Casino Royale, and Treasure Island, Planet Hollywood and more, there is a casino to suit every type of gambler and each one has the same exciting vibe which makes Vegas so special. Here you will find pokies, roulette, blackjack, baccarat, poker, and much more, in both electronic and real gaming form, giving Vegas more variety than what you’ll find at an Aussie casino. There are over two dozen incredible casinos along the Las Vegas strip that offer blackjack, each with varying minimums and maximums as well as standard and special rules. 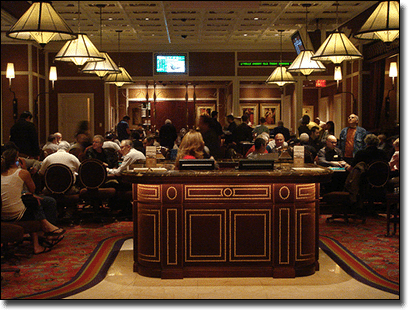 Playing 21 at major casinos which have been featured in some of the world’s most popular movies, such as the Bellagio and the Caesars Palace, can be incredible, though the table limits here start at around $10 and go up to around $10,000 or more if you are a VIP player. You can find tables with minimums as low as $3 though, for example at the Circus Circus Casino, but you probably won’t feel like you are in Oceans 11 here. Overall the atmosphere at the blackjack tables in Vegas is something you won’t find anywhere else in the world, including Aussie land-based casinos. There are players who can visit Vegas every weekend and even every day if their lucky, and they visit specifically to play poker. These are called the Las Vegas poker locals and versing them can be a lot of fun if you are either a good player, or you are a good sport. While you’re versing people who generally have the upper hand since they are so experienced you can learn a lot from these players and bring any tips back Down Under. If you do just want an easy game to win, try and find poker players who are tourists or intoxicated – they will be the ones making the mistakes. Either way there will be all types of players in Vegas so you will be bound to learn a thing or two here which is why so many players have the city on their bucket list. Anywhere you go in Vegas you will be served alcohol for free just for gambling so if you want to make it worth your money simply slip a coin or two into the slots and receive your favourite cocktail on tap. A waitress will be over as soon as you sit on one of the many slot machines available in any casino along the strip or anywhere in Vegas and will take your order. You will need to tip your waitress if you want quick service, but it will still be cheaper than not gambling and paying for drinks. Since Aussie casinos require you to purchase drinks for full price and gamble too, it makes sense why we’re all flocking to Sin City. What’s more, if you get lucky you could be end up being paid to drink – just monitor your intake as we tend to make poor gambling choices when we’ve had one too many. 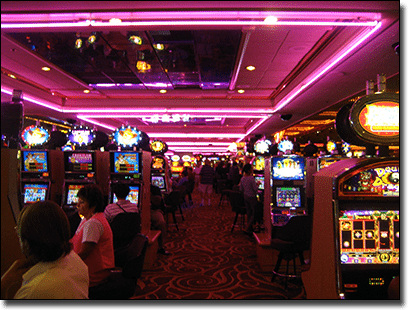 If you want to explore what each casino has to offer in terms of table games, limits, and more, but don’t want to have to buy a new drink everywhere you go, you can simply walk out of the casino and into the next with your drink, regardless of where you purchased it. 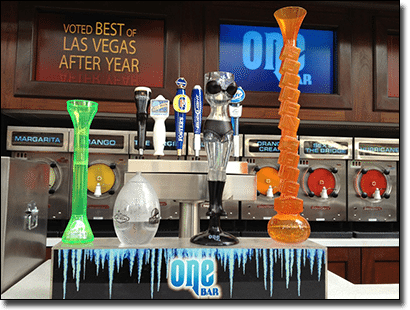 You can buy novelty sized drinks and carry these to each land-based venue along the strip and take it with you to the tables – just note you may not be taken seriously at the craps table holding a giant slushy. 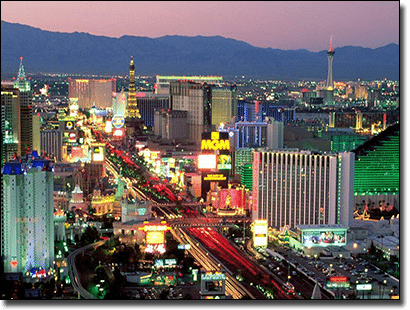 Las Vegas is an incredible city and there’s a reason why so many Aussies are booking their flights and saving their money – the place has the best gambling and social vibe in the world. If you can’t afford to visit Sin City, or simply don’t want to fly that far, you can create your own casino by playing online. There are a number of secure online casinos we recommend which offer fair games – each confirmed by respectable third parties. For players from United States, we recommend Raging Bull Casino as the top rated casino site for a large selection of instant-play casino games to enjoy from the comfort of home.